The Valencian circuit Ricardo Tormo has put the finishing touch to the FIM CEV Repsol 2018 season. By category, the champions have been proclaimed this season, in Moto3™ the Spanish Raul Fernandez, in Moto2™ the Swiss Jesko Raffin and in the category European Talent Cup, the victory in the championship has been for the SpanishXavier Artigas. In the European Kawasaki Z Cup category the victory of the season was for Abián Santana. During this season VAV Broadcast has made available to Dorna Sports the OB Van 21 UHD for the production of the championship. For the last race of the championship, the OB Van 21 UHD has had an endowment of 14 HD camera chains, 12 box lenses, 3 EVS’s XT3 8 channels, 1 HD camera link, in addition to the technical and assembly crew. During the season VAV Broadcast has contributed, in addition to the OB Van 21 UHD, the technical and assembly crew, which together with the excellent production and production team of Dorna Sports, have made possible the production of the championship. 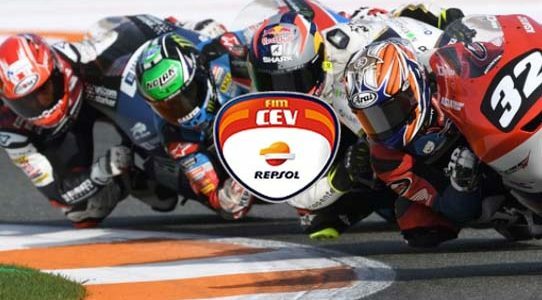 Each race of the FIM CEV Repsol 2018 Championship has been broadcast live in Spain on the Movistar MotoGP channel. In the United Kingdom and Ireland BT Sports and in Italy Sky, they have broadcast live all the races of each category of the championship. In Portugal, Sport TV has also issued the championship. For the rest of Europe, Eurosport through Eurosportplayer (France, Germany, Holland, Belgium, and Romania) has also offered coverage of the Moto3™ Junior World Championship, Moto2™ European Championship and European Talent Cup with the live broadcast of each race. In addition, in the countries that have not had television coverage, all the races have been broadcast live through the Youtube channel of the championship.